Spacious Port Neches 5/3.5/3 beauty! 5 Beds 3 Baths 2 Partial Baths 4,291 Sq. 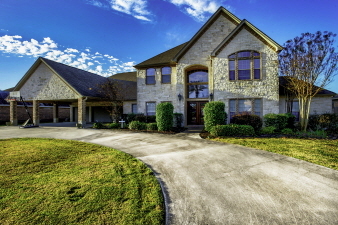 ft.
Fabulous Two-Story 5/3.5/3 + Pool in desired Port Neches neighborhood. You'll love the space and many amenities of this property. The downstairs features soaring ceilings, lots of natural light, engineered wood flooring, tile, custom kitchen w/walk-in pantry, powder room, two dining areas, and a study. The master suite is large with two spacious closets and a spa-like bathroom. The upstairs is perfect for the kids to spread out with four nice sized bedrooms, two full bathrooms (one Jack & Jill), and the perfect gameroom. The backyard will sure be lots of fun with a gunite pool, pool house w/half bathroom, and covered patio. The three-car garage and carport offers lots of parking space. Having a party? No problem, there's a circular driveway for all those cars too. If you're looking for that up-sizing property in PNG, look no further it's all here.